Call your local Honda dealer. See what they say. You may want to hang up. The Honda Civic Type R is already proving to be wildly popular online, and it hasn’t even arrived in dealerships yet. That doesn’t mean, however, that Honda stores won’t take a deposit in order to secure yourself one of those hot hatches. 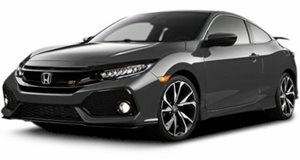 But be aware, because many Honda dealers are already demanding expensive markups, even as much as $25,000 over the $34,775 base price. You read that right, and we will repeat: $25,000. 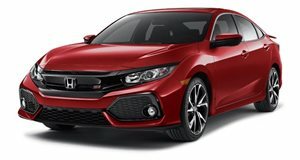 The civicx.com forum has been compiling an organized list of California Honda dealerships detailing, by city, whether they’ll charge MSRP, the number of Type Rs expected to arrive, the number of people so far on the wait list, and the type of wait list (first come, first serve, etc). To their non-greedy credit, just under 30 dealerships are charging MSRP. But there’s a disturbing growing number of dealerships who either might charge MSRP or haven’t made a final decision. And then there are those who’ve confirmed markups. There are three planning to charge $20,000 over MSRP, but that’s at the higher end. A number of others are marking units up starting at $1,500. That’s the minimum, at least so far. People are also comparing notes on Twitter. Someone informed The Smoking Tire host, Matt Farah, about a Honda dealership charging $60,000. For a Civic Type R. Unreal. So, for those who are keen on buying a Civic Type R, we highly suggest to do your homework first. Call multiple Honda dealers and ask directly if they’ll be marking up. Your decision entirely whether to oblige their greediness.